Deborah Damast (BFA Dance, SUNY Purchase, MA Dance Education, NYU Steinhardt) is a Clinical Assistant Professor and Artistic Advisor to the Dance Education Graduate program at NYU Steinhardt where in addition to teaching Pedagogy, Technique, Production and Choreography, is Director of Kaleidoscope Dance Company, Dance Concerts, and founded and directs the annual study abroad program to Uganda. Deborah conducts Professional Development for NYC DOE dance teachers and for Pre-K for All teachers through the NYCDOE Office of Arts and Special Projects and is a member of the Dance Education Leadership Team (DELTA) through the NYC DOE since 2005. She has directed programs at Peridance, Harvey School Cavalier Camp, Steffi Nossen and The Yard. She is on the Board of Directors of Peridance, has served on the Board of Directors of NDEO, and has just completed her term as President of the Board of New York State Dance Education Association. (See full bio on Fall Conference page). This session will explore Deborah Damast's experiences in developing NYU's Uganda study abroad course and the benefits, strategies, and challenges of intercultural collaboration. Participants will learn a section of a Ugandan dance and song while discussing pedagogic practices for celebrating cultural diversity in the classroom. Katherine Call's dance background is in classical ballet, trained by Julie Orlob and Stacey Orlob-Richin's at the Children's Ballet Theatre in Salt Lake City, UT. She graduated from Southern Utah University with a Bachelor of Arts degree in Dance Performance. During her time there she studied under Kay Andersen, Shauna Mendini, Paul Ocampo, Gwen Grimes, Lise Mills, and Ching Yi. Call was a member of the Cedar City Junior Ballet company where she performed as a soloists in Coppelia and Cinderella. She worked in St. George as a studio manager for Southwest Contemporary Dance Theatre; adjunct faculty for ballet, modern, conditioning, and partnering at Dixie State University, and a Ballet Teacher at Premier Dance Center and On Stage. During her time there she was a corps and principal dancer for St. George Dance Company. Call has received awards for choreography including Student Teacher Scholarship Award at SUU, works was selected for the American College Dance Festival's informal showcase, Best Choreographer, Best Ensemble, Red Rock Festival's Audience Choice Award, and Shakespeare High School Competition's First Place award. She received her Master of Fine Arts degree in Dance from the University of Wisconsin - Milwaukee. Call has worked and studied with many teachers and professionals including Summer Belnap-Robertson, Rebekah Wainwright, Jennie Jones, Sara Gallo, Dr. Li Lei, Michelle Spear, Ashley Anderson, Denise Purvis, Sara Yanney, Luc Vanier, Daniel Burkholder, Simone Linharres-Ferro, Maria Gillespie, and Jennifer Sydor. Call serves on the UDEO board as the Utah state chair for the National Honor Society for Dance Arts, teaches at Taylorsville High School, and continues to work as a freelance choreographer and performer. Mindfulness and meditation is becoming a tool for teachers to use to help students cope with anxiety and general stress. Some are using it more often to either begin or end class to help students train their focus. This class will incorporate movement from somatic principles and how they build awareness of the body. This will help draw parallels between body awareness and the overall awareness that comes from mindfulness and meditation. Applying LMA to the K-12 classroom. This session will focus on using the Shape and Space categories of the Laban/Bartenieff Movement Analysis system to meet K-12 dance teaching standards. This session will review the concepts of the Shape and Space categories, including tips for introducing LMA vocabulary and its usage in the classroom. The end of the session will focus on lesson plan applications at the elementary, middle, and high school levels. Session 1 "The Adult Child and Dance Theater" Participants in the workshop will address the means by which Dance Educators and choreographers can utilize popular tropes from Children's literature to craft creative works. Emphasis will be placed on movement generation and the collective "reimagining" of our favorite stories to subvert expectation and generate new, challenging material. Session 2: "Millennial Dance Training" In this workshop, participants will confront the obstacles of training the millennial generation and acknowledging its' inherent challenges. Particular emphasis will be placed on secondary and higher ed. approaches to curating a clear, demanding and equitable learning environment. Ariel Hortin grew up in Kaysville, Utah, and has a BA in Dance Education from Brigham Young University. As a student, she served as the University Student Representative on the UDEO board and received the Mabel Smith Hanks Educator Award for Outstanding Contribution to the education program. 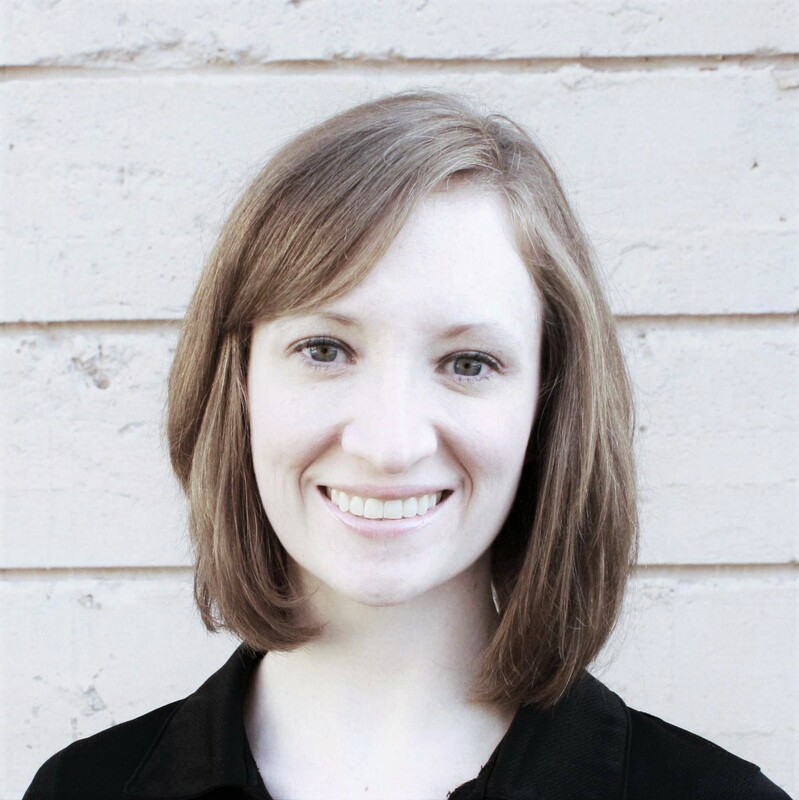 In her career as an educator Ariel has served as the Dance Director at Provo High School and adjunct faculty member at BYU, teaching Contemporary Dance and Contemporary Dance Teaching Methods. She also co-founded Dancing Feet, a creative dance program for young children. Additionally she enjoys exploring dance utilizing film and technology, and was able to present on her work in this area at the National Dance Education conference in Washington D.C. Ariel is currently serving as a member of the UDEO board, leading the preparation for the Utah State High School Dance Festival. Most importantly, she loves and is supported by her wonderful husband, Brian, and their 3 beautiful daughters. The Addiction Dance Project, and Dancing the Stories You Cannot Speak. This class is about giving youth a voice through dance! We will learn about the Addiction Dance Project and see the final video project. We will also discuss why it is hard to talk about difficult topics in the dance classroom, but also why it is so incredibly important. During this class we will give specific tools and strategies to help you successfully do this with your own students. You will see snippets of continuing dance projects created using these tools, experiencing topics such as grief, identity, and sexual assault. When we dance the stories that we cannot speak, we not only create powerful art, we create powerful people. 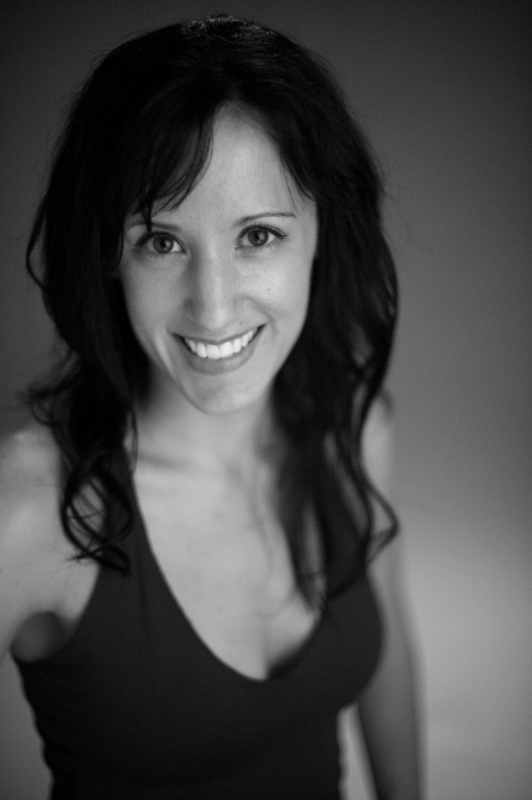 Sara Pickett is a dance educator and choreographer in the Salt Lake City area. Sara received her MFA in Modern Dance from the University of Utah as a recipient of a University Teaching Award, researching the aesthetic model of the Hip Hop arts, and her Bachelor of Arts in Dance from Weber State University where she was the recipient of numerous awards and scholarships including the Lindquist Creative Arts Fellowship. Sara danced professionally with Rick Robinson’s Total Control, and was a core member of Millennium, a theatrical hip hop company in Denver, Co. with Kenny Jimenez. She is a co-producer of BRINE, a concert of dance works presented annually in Salt Lake City. Sara’s choreography has been performed at the University of Utah, Weber State University, Utah Valley University, Brigham Young University, Colorado State University, the American College Dance Association, Lagoon Park, and the Colorado Academy of the Arts, among others. Sara is currently Assistant Professor Lecturer for the School of Dance at the University of Utah. She serves on the boards of the National Water Dance and the Utah Dance Education Organization. Dropping Science: Hip hop basics for teachers. This class is an introduction to the history, key players, and big ideas of hip hop culture and how it relates to the contemporary classroom. The session will include discussion on the “five elements” and give teachers some basic skills of hip hop movement and freestyle concepts. Dmitri Peskov is an Assistant Professor of Dance at Snow College and a summer faculty member at JU/White Oak MFA Program in Choreography. In addition to running his own dance company Dmitri Peskov Dance Theatre, he has collaborated with Paul Sanasardo, Rachel Miller, Bob Eisen, Bandar Albuliwi, Wynn Fricke, Gary Lambert and performed with Joel Hall and Dancers, Mordine and Company Dance Theatre, Chicago Ballet, Chicago Festival Ballet, The Lyric Opera of Chicago, Borealis Theatre, Tet a Theatre and Bluebird Productions. Dmitri holds an MFA in Choreography Degree from Jacksonville University and an MA Degree in Foreign Languages and Literatures from Northern Illinois University. He is also a graduate of the Gately/Pool Acting Conservatory and of the Chicago School for Theatre Creators. Dmitri is a certified yoga (Chicago Yoga Center), pilates (BASI Pilates) and taiji instructor (Chenjiagou Taijiquan USA). Breakout Session 2: Katsugen is a part of the Japanese healing tradition that seeks to maintain the harmony of all the body’s functions, from the grossest to the subtlest level. This class will begin with a brief Aikido/Qigong warm-up, followed by partner work and culminating in an improvised performance. We will explore some of the following concepts: what is yielding? What is blending? What is “outer” and what is “inner”? How does one move from the center? How does one tap into the innate intelligence of the body? This class is open to all movers who are comfortable with partner work. Monica Campbell danced nationally and internationally with Diavolo Dance Theater (now called Diavolo –Architecture in Motion) from 1999-2006. Additionally, she acted as the rehearsal director from 2002-2004 and Associate Artistic Director from 2004-2006 with Director Jacques Heim. Education: University of Utah, Dance, M.F.A, where she received a Graduate Teaching Assistantship award and a Graduate Research Fellowship for her choreographic work Tabula Rasa. She is currently an Associate Professor in Utah Valley University’s (UVU) department of dance, as well as the Modern Dance Program Coordinator. Campbell has shown her choreography both nationally and internationally. Her company, Monica Campbell & Dancers was the winner of the Rocky Mountain Choreography Festival and premiered an evening of her work in 2012. She was an Associate Choreographer for Diavolo’s Fluid Infinities that premiered in Los Angeles at the Hollywood Bowl in September, 2013. In Spring 2016 Campbell completed a sold out run in Salt Lake City of her evening length piece The Final Hours, which investigates ideas of occupation, revolution, community, and the individual intensity and commitment necessary to forge cultural change, set amidst the Hungarian Revolution of 1956. Additionally, her Screendance, Aleppo Agonistes, which is inspired by the Arab Spring, won 2nd place in the pre-professional film-maker division, and an audience choice award at the 2016 Utah Dance Film Festival and was an Official Selection for the 2016 DanceBARN Screendance Festival. From 2015-2018 she was the Artistic Director of Utah Valley University’s Contemporary Dance Ensemble (CDE), where choreographed extensively. Her current adventure has been to expand her research from the stage to the classroom by co-creating and teaching a new class at UVU entitled Peacebuilding Through the Arts, with Dr. Michael Minch, Chair of the Peace and Justice Studies Program. In Spring 2017 she was awarded an Ethics Center Faculty Fellowship to accompany UVU’s Peace and Justice Studies Program to Northern Ireland to study the peace process. The resulting research culminated in the new piece of choreography for CDE, Turas, that premiered in March 2018. Dancing the Issues: Choreography as a vehicle for activism, storytelling, and social change. In this breakout session we will discuss the process of combining contextual research with choreography and artistic direction to delve into the exploration of humanity’s role in forging cultural change, rebelling against injustices, and working to build peace. WANT TO PRESENT AT THE CONFERENCE?